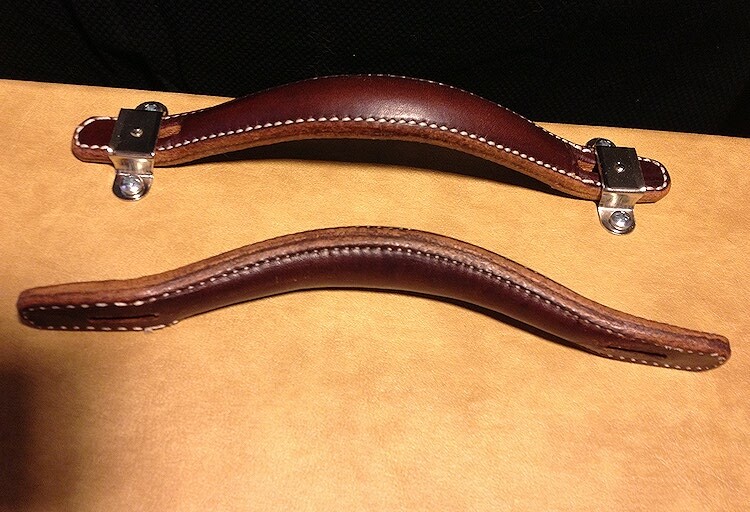 I keep checking out the the leather handles since I had some trouble with fender reissue. the humped handle in the picture came from this company, Industrial Amps it looks very close to the original ones on fender tweed amps. but, the original seemed to have 3 layers. [udpate] it was 30 something dollars when I found it. and it’s now almost $50. [udpate] it was 30 something dollars when I found it. and it's now almost $50.